Sometimes you read a children’s storybook and you think that it is so fantastical, it can’t possible ever truly happen. Then you read a book like Here Comes the Garbage Barge by Jonah Winter and you remember that the unbelievable story absolutely did happen. 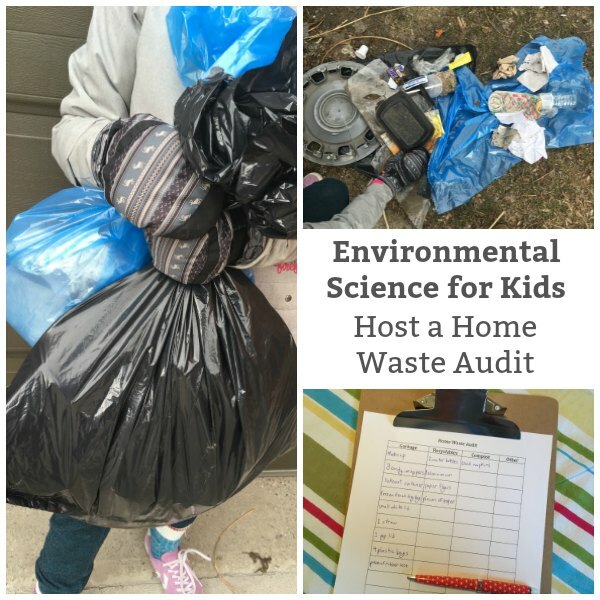 For Inspiration Laboratories’ Storybook Science series, we are examining this storybook a little further and asking some questions about household waste. Here Comes the Garbage Barge follows the story of a fully loaded barge of garbage that no one wants to take care of. The barge travels from New York state all the way to Belize and back. After reading the book, I explained to my daughters that I remember when this incident happened. It made the news even here in Canada. We decided to do a little further research and reading. It is no coincidence that after the garbage barge incident waste reduction and recycling became part of everyone’s conversations. People started to be more aware of what they were throwing in the trash and where that trash actually went. It seemed that our landfills could actually be too full and then what?! This investigation sparked a converstation about our household waste. A few years ago, we conducted an audit of the garbage in our bathroom. We discovered that more than half of the garbage we were putting in the trash was actually compostable (soiled paper products). So, we added a “compostables” can to our bathroom and started diverting trash. 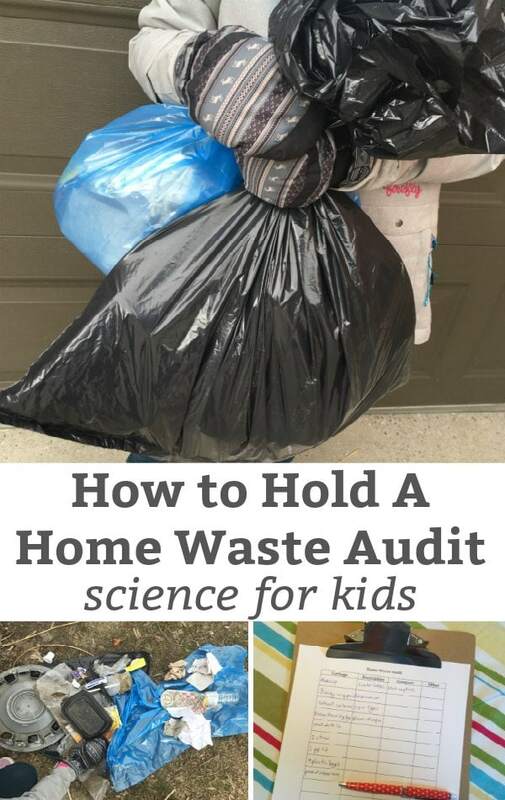 After reading the book, we decided that we wanted to run another waste audit – in particular we wanted to examine the trash that accumulated in our front yard. We live on a very busy street corner. Over the fall and winter seasons trash blows into our yard. In general, the snow covers the trash and in the spring we are presented with a litter covered garden. Our question were where should the trash have been disposed? Is the trash more non-recyclables or recyclables? 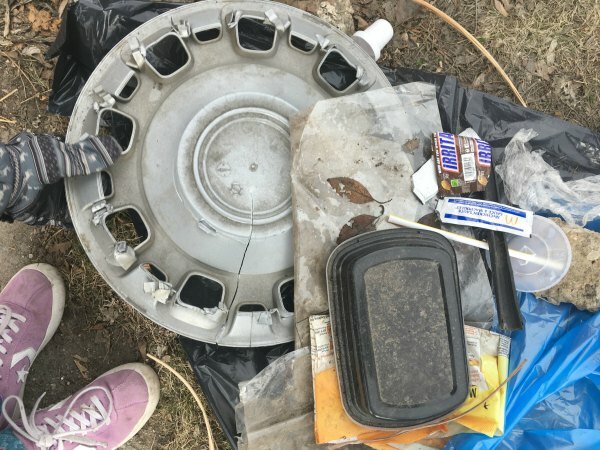 We decided to run a waste audit of our yard waste and see what we discover. A waste audit can be run on any household waste. The most important thing to remember is that we are dealing with garbage – which means that we need to take a few safety precautions. Be sure to wear gloves and ideally work outside. 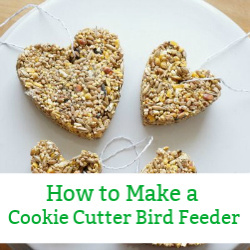 Place an empty garbage bag and an empty recycling bag on the ground or table. 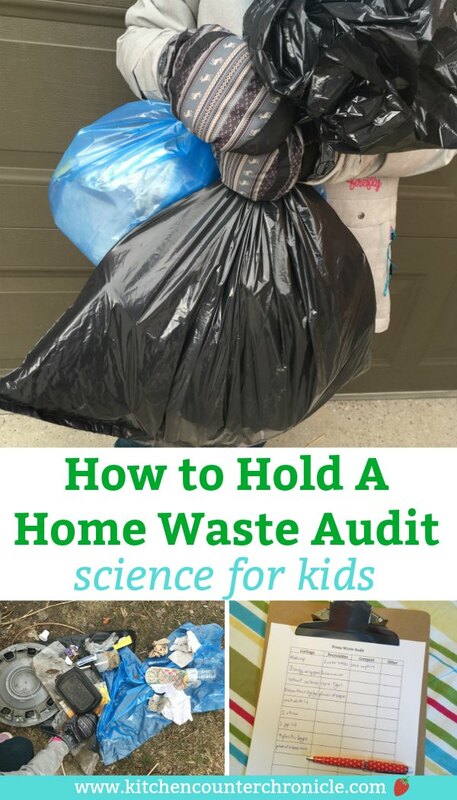 Print off the home waste audit chart. 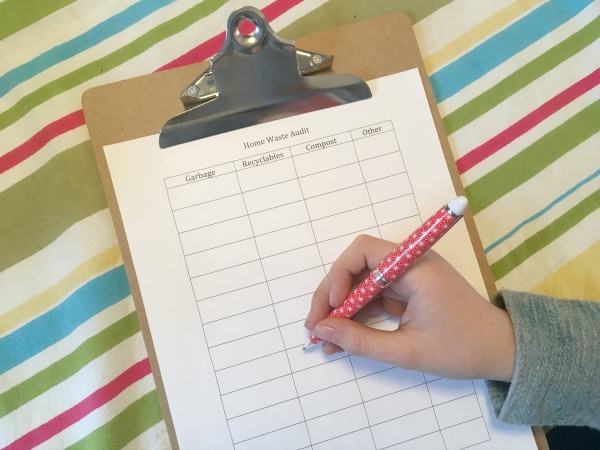 This is where you will tally up the different types of garbage you find – recyclables, non-recyclables, compost and other. These classifications will all depend on your local garbage collection. In Toronto, we have very open recycling and composting regulations. It’s important to know what can and cannot go in your city’s garbage collection. The other category is for items that might be considered hazardous waste (batteries) or yard waste. Begin sorting the garbage. For our bathroom audit, we sorted the garbage we collected over the course of a typical week. The same could be done for kitchen garbage. For this investigation, we gathered up the trash we found in our yard. 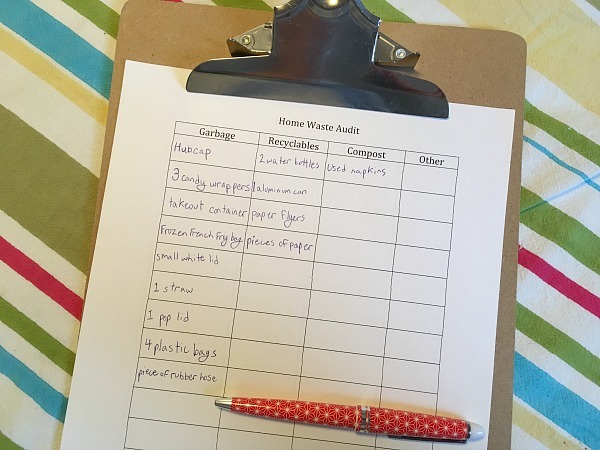 Write down everything you find on the home waste audit chart. We were certainly surprised by what we found in our garden. A hub cap! Multiple water bottles. Take out container. Lots of flyers and pieces of paper. Even some poor kid’s homework. When the sorting and tallying are done, dispose of the trash…properly. Now it’s time to take a look at the results and come to our conclusions. The trash in our yard was largely non-recyclables that should have been placed in a city garbage can…not in our garden. There was less paper than we expected. We certainly didn’t expect to find a hub cap. So, what did we learn from our waste audit? We learned that everyone needs to be aware of the little bits of trash that they throw on the ground. That trash ends up somewhere, maybe in someone’s yard. We learned that little pieces of trash can add up pretty quickly and become a big pile of trash. Much like in the story Here Comes the Garbage Barge, our yard was filled with unwanted trash that people clearly didn’t consider where it would end up. In the future, we will be sure to seek out public garbage cans. My daughter thought that we could consider asking the city to place a public garbage can at our corner. I like this idea and she will have to look further into how we could go about that. I love activities that raise my daughter’s environmental awareness. This book and activity had my kids thinking about our environment in a way they might not have before. Let’s face it, how we deal with garbage is totally out of mind. Once a week our garbage is collected from the end of our driveway and carted off to a landfill. When the garbage barge incident happened in the 1980’s people started to became more aware of where our waste really ends up. This audit of our front yard brought to our attention the impact litter has on our environment. Thankfully we were able to properly sort and dispose of the garbage. 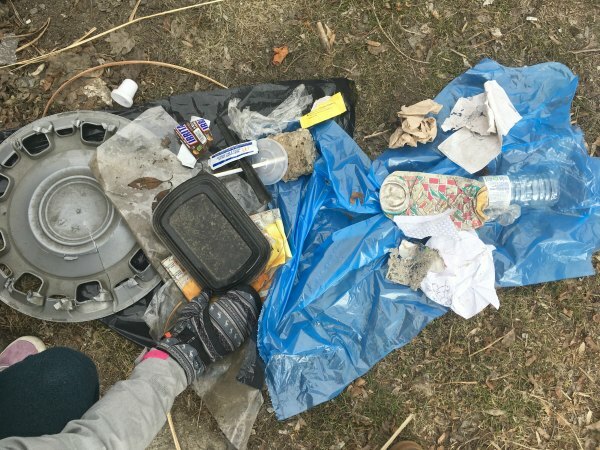 What about the litter that ends up in our parks, ravines, rivers and lakes? Who is there to clean up those spaces? 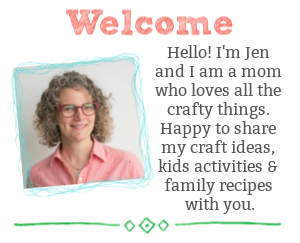 These are the bigger questions that were sparked by a simple children’s storybook. 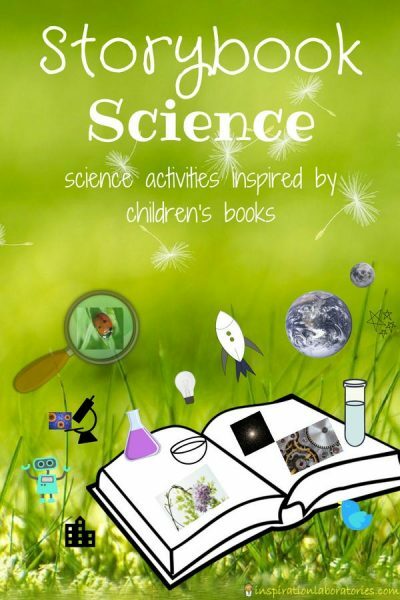 Today’s post is part of the Storybook Science series taking place on Inspiration Laboratories. 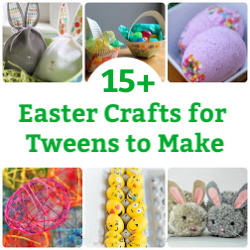 All month long bloggers are sharing awesome science activities that you can do with your kids. Be sure to take a look at what is being shared. How would you clean up after an oil spill? 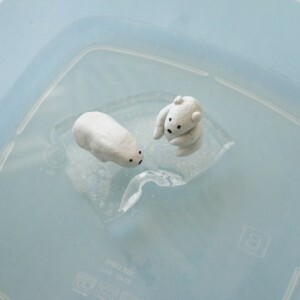 Why are is the polar ice melting?